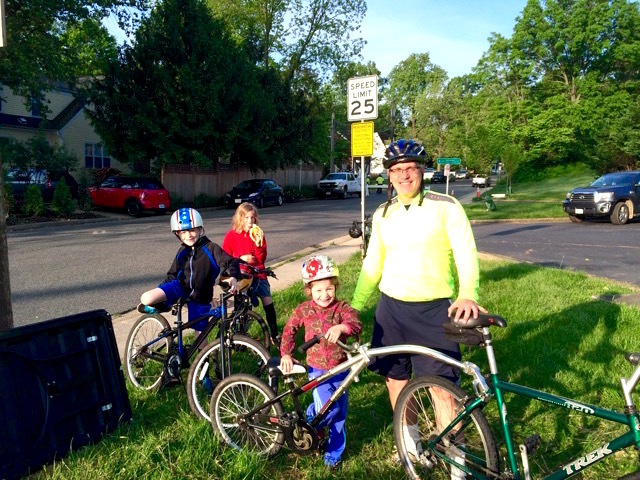 The Redding family from Jefferson Village took advantage of Bike to Work Day to ride their bikes. Father Dave said his family usually rides for fun around their neighborhood. All of them enjoy the exercise they get when out on their bikes. 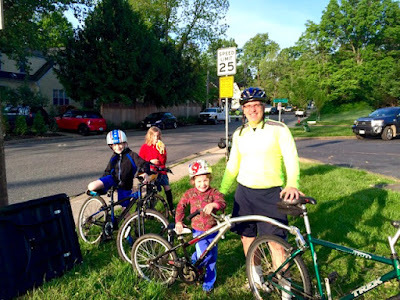 In order to make biking easier and safer in Fairfax County, Dave said the family would like to see more bike lanes and better trails. FABB loves to see children on bikes and has long worked with parents, school administrators, and other organizations to encourage Fairfax students to walk and bike to school. Currently, FABB is encouraging Fairfax County Public Schools (FCPS) to transition the current Safe Routes to School (SRTS) coordinator from a grant-supported position into a full-time FCPS paid position. More public support is needed to encourage the School Board to make sure that the system continues to have someone to work with all interested county and city schools to promote walking and biking to school, bicycle and pedestrian safety programs, and prioritizing infrastructure improvements to create safe walk/bike routes.